The emotional and social pitfalls of youth can very easily lead teenagers and adolescents to substance abuse. Between peer pressure, academic struggles, family issues, and more, youth substance abuse is a reality for millions of Americans under eighteen, a great deal of whom live in Ohio. To compound the risk of Ohio youth substance abuse, many of these children are watching their parents, older siblings, aunts, uncles, and mentors succumb to the opioid abuse that has consumed the state. 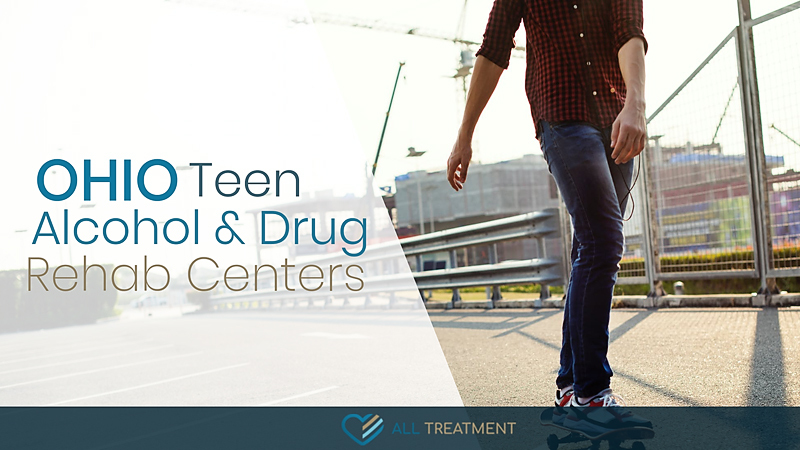 Treatment for youth substance abuse must address the unique and specific psychological struggles that this group faces and provide comprehensive care to help them insulate themselves from relapse. In response to the escalating culture of teen substance abuse in Ohio, the state has developed more and more resources to help this younger population get the help they need without letting drugs or alcohol destroy their promising lives before they start. These programs include inpatient and outpatient treatment options and allow teens to get expert mental health counseling from therapists who understand their unique age-related struggles. Don’t let your son or daughter succumb to drug or alcohol addiction. If you live in Ohio and are in search of teen alcohol and drug rehab, start browsing our database now before things get worse.